Finances play the central role in any form of investment. Therefore, an investor will look out for the advisers that will help them clearly determine the correct amount of money enough for the particular investment plans. This money could be set aside in an interest bearing account to accrue interests. Advice on the prevailing interest rates by the various commercial banks, prevailing and anticipated inflation rates among other monetary advices are some of things to look out for from advisors. Also, advice on anticipated returns on investment under the prevailing economic environment ought to be established. Furthermore, advice on where exactly to invest and how to start is fundamental. 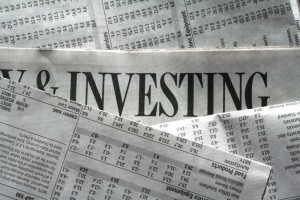 Expenditure is monitored, and in the event that the investor can cut down some expenses for saving, it is so advised. Knowledge of the varieties of investment instruments that are found in the market is of paramount significance to investors. Investment instruments include: securities, bonds, stocks just to name but a few of the instruments for one to choose from. Informed decisions to invest are only made after establishing the advantages and disadvantage of any these financial instruments. Knowledge of when best to make the investment is of equal importance to the other factors too. It is common knowledge that determining the likelihood of stocks falling and rising is not an easy task. Even so, actuaries can be consulted to offer such advice. Therefore advice on market patterns and trends on the side of the investor will go a long way in ensuring, they use timing to the best of their advantage, which in this case is realizing anticipated profits. The investor will be called to task to seek information and advice about market predictions. Well, it is one thing for predictions to be made, and another for the predictions to occur, the investor ought to understand that too. This then calls for wariness of the predictions on the side of the investor, as predictions are more or less like gambling thus things may not quite work out to their way. Use of a disciplined investment plan is thus advised by professionals in this field of offering investment advice. In summary, an informed investment advice will clearly tell when, how and where investments can be made. In addition, information on correct market trend predictions, safety and security of one’s investment will be offered by financial advisors. These are the most valuable things in investment and essentially the things to look out for when seeking advice.